The hearing was supposed to be all about Burien’s North Highline Annexation proposal (involving the area shown on that city-created map), so when Burien announced last week it was withdrawing the proposal, at least temporarily (as first reported here on White Center Now), the hearing seemed like a moot point. That lawyer, Robert Kaufman, then provided backstory on how the process got to this point — first the city of Burien “invoked the (Boundary Review) Board’s jurisdiction”; then the city of Seattle did so too. The hearing was scheduled, time went by, then last week Burien requested the withdrawal. “A copy of the letter appears to have been mailed” to Seattle city leaders, Kaufman said, but since all parties to the potential action would have to give their consent to withdrawal, they needed to hear from Seattle, and hadn’t as of that very moment. So, they asked, was a representative of the city of Seattle at the meeting and available to come forward? Wynne said Seattle believes the annexation “violates King County policy … regarding collaboration and cooperation,” which he said is mandated in such situations under the state’s Growth Management Act. According to Wynne, Seattle accepted an offer to meet at the end of last year, and he said Burien deferred that meeting till early this year, which Seattle wasn’t happy about because it was so close to the start of the legislative session. 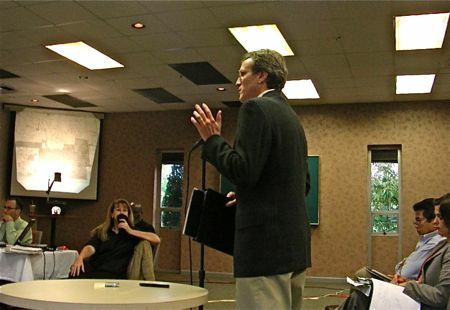 Wynne was the only person who spoke to the board, as chair Hirschey moved immediately afterward to lay out the three options: Accepting Burien’s request for withdrawal, which would immediately end the hearing; opening the meeting to testimony regarding consideration of the letter; or denying the request to withdraw, and proceeding with the open hearing. And then, 22 minutes into the meeting, it was over. So what happens next? 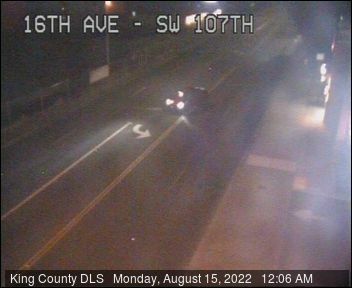 We’ll be checking with Burien, Seattle, the fire district, and the county, for any sign of talks or other movement; Burien has said it expects to resubmit an annexation proposal later in the year. Meantime, all this will come up at two upcoming meetings involving the North Highline Unincorporated Area Council — its regular meeting 7 pm this Thursday at Fire District HQ, and a community meeting NHUAC is convening 9/18 at St. Bernadette’s Parish School (128th/Ambaum; map). Roger Wynne’s statement that Burien “has singlehandedly killed that legislation,” meaning HB 1139, is utterly bogus. Seattle based its numbers for the amount needed on the total number of residents in Seattle, not the total number of residents in NH, as has been pointed out earlier. HB 1139 would have given Seattle $9 million per year, $90 million over 10 years, to annex NH. Legislators in Olympia are not all a bunch of rubes. Several of them saw this for what it was — a raid on the state treasury. $90 million could buy a lot of health care for poor kids and a lot of early childhood education. And it could fix a lot of potholes in South Park. Senator Prentice and the members of the Senate Ways and Means Committee delivered a well-deserved coup de grace to this bad bill, and would have done so no matter what the Burien City Council decided. Not only is annexation to Burien a better deal for NH, it’s a better deal for the taxpayers of the state of Washington — at least for those of us who still hope for some fiscal prudence. Everything Seattle has done and said regarding annexation reinforces my view that annexation to Seattle would be bad for the residents of NH and Burien. 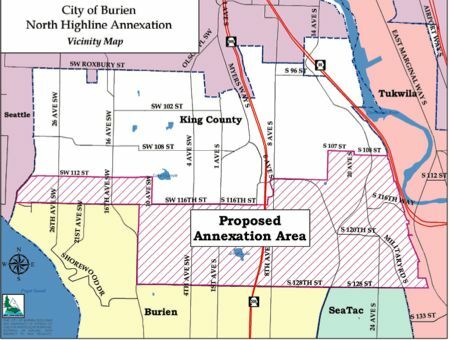 The threats of litigation that Seattle has made over the past few years and its opposition to Burien’s annexation proposal were the deciding factors that caused Burien to withdraw its annexation proposal. Now Seattle has the nerve to say it will not block withdrawal of the proposal! What is going on there and why is Seattle so afraid to let the people of NH vote on annexation? Kudos to the BRB member who spoke up and called it as he sees it! Hopefully, Seattle listened and stops playing games with the people of NH. The annexation decision is going to affect thousands of us for a very long time. This is not a game and Seattle needs to stop using us as pawns in its empire building scheme. How refreshing to finally hear a public official say it like it is. I agree with Ramona that it was surprising and refreshing to hear the BRB member state that he was concerned that Seattle was playing a game with Burien. I know it is Wynne’s job to advocate for the position of the Seattle Mayor, but I sensed he may have advocated a bit too strongly and may have gone on too long. To steal a phrase from Hamlet, it appeared to me that Wynne doth protest too much. The result was that it made some of his arguments seem a tad disingenuous.